Cutting down trees can be a very challenging task, depending on how large the tree is. It would be great if that was the end of the process, but it's not. After the tree is cut down, you are left with a stump than can persist for years and make working the soil or planting new things nearly impossible. To get rid of the persistent stump, you need to either mechanically remove it, or accelerate its rotting process. The latter is usually easier and more inexpensive. To accelerate stumps to rot you must allow the elements to penetrate into the stump and increase an organic presence. Cut the stump as close to the ground as possible with a chainsaw. This reduces the volume of wood that needs to rot. Drill several holes into the top of the stump that are at least 1 inch wide in diameter. Drill the holes as deep as possible. Cover the stump with topsoil or sod and keep moist. Add a nitrogen-based fertilizer to the stump to replenish lost nitrogen since the organisms that decompose the wood the first year are nitrogen-limited. Read the fertilizer bag and apply as much fertilizer to the stump as you would to your lawn. Add sugar to the stump after the first year since the organisms become more carbon limited. Fill the holes in the stump completely with sugar. The amount needed will depend on how big your stump is. As depressions appear in the stump, fill them in with more topsoil. 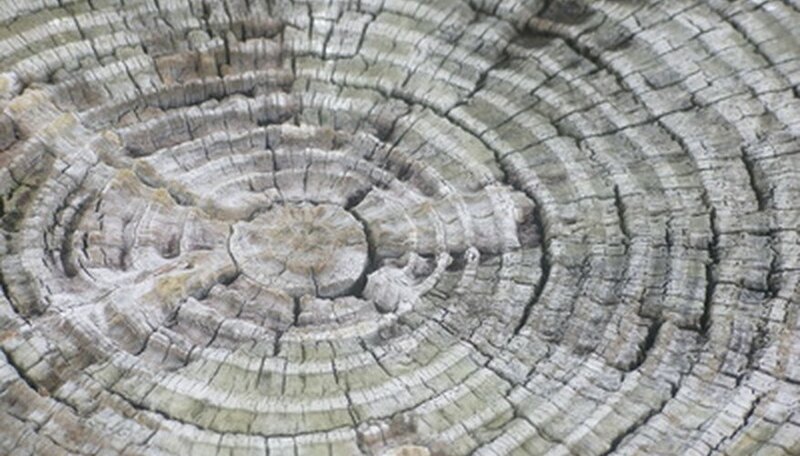 You may also try to add mushroom spores into the stump to encourage fungi growth. These fungi will speed up the decaying process of the wood. They need a consistently moist environment, so it may be hard to successfully get mushrooms to grow on stumps exposed to a lot of sunlight. Adding too much fertilizer to the stump can cause your nearby plants and lawn to burn. Always use the recommended amount indicated on the fertilizer bag.